There are several autoloading shotgun actions in common use: long recoil, as embodied by the John Moses Browning Automatic-Five, short recoil, the Bruno Civolani action of 1967 renamed inertial, and the gas-operated action. Beyond that, there are several variations, particularly in the gas-operated segment, for gas actions are not at all identical. The shotgun that changed the world, the one that served in two World Wars, the Korean Conflict, and in Vietnam was the original Automatic-Five. The reliable automatic shotgun was, at one time, considered an impossible task, as shotshell quality from brand to brand varied in intensity so much at the time John Browning began work on the project (1898) reliability was considered impossible by gun designers of the day. It was patented in 1900. John Browning also was awarded a patent the same year for his long-recoil rifle with a rotating bolt head. This rifle was later introduced by Remington as the Model 8 Autoloading Centerfire Rifle, produced from 1906-1936, when a variation became the Remington Model 81 Woodmaster. The Model 81 was produced from 1936-1950. The short recoil idea was from Hiram Maxim, first patented in 1883. It was used in the Maxim machine gun, later called the Vickers machine gun. Though the barrel moving a small amount is extremely popular in pistols (1911, Hi-Power) it was never a huge success with autoloading shotguns. 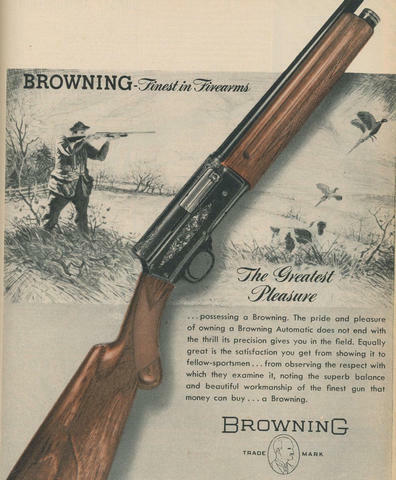 The Browning Double Auto (Val Browning) and the later Browning A500 / A500R are two examples. The fixed breech inertia design was introduced in the Sjögren shotgun in 1908, shown above. It wasn't until much later, 1967, that the far more elegant Bruno Civolani treatment was designed. After being shopped to and rejected by several manufacturers, the newly formed division of the Benelli Brothers motorcycle company picked it up. In 1908, Søren H. Bang invented a gas-operated rifle that became the M1922 gas-operated Bang Rifle. Gas-operated shotguns have a piston array, or pistons, that themselves produce recoil: in this case, reverse thrust or reverse recoil. To the extent that you have mass propelled in the opposite direction of the gun, you have less recoil that you feel. It wasn't until 1963, with the introduction of the Remington 1100 in 12 gauge, that gas-operated shotguns hit their stride. The 20 gauge and 16 gauge models followed in 1964. An instant smash hit, the Remington 1100 became the best selling autoloader of all time, with over 4 million sold. It surpassed the Automatic-Five sales numbers, previously thought to be untouchable. The most reliable autoloading shotgun in history is a twenty gauge. In 1978, a Remington 1100 LT-20 fired over 24,000 rounds with no cleaning: no malfunction, or parts breakage. The gas-operated shotgun quickly went from experimental to best-seller in a few short years: the 1100, unlike the slide-action 870 was essentially an instant hit. Gas-operated autoloading shotguns were dominant by the late 1960s in sales, and that hasn't changed. But, changes were coming although it was obvious to no one in 1963. Aluminum alloy receivers were considered second-rate by most, in the 1960s. Beretta and Benelli were largely unknown. Beretta had no twenty gauge autoloader until 1971 or thereabouts and Beretta had only hunting guns until 1985 when the A303 was introduced. But the A303 was alloy, didn't break, had a buttstock with replaceable shims for drop, and was available with screw chokes, their second attempt at Mobilchokes that worked. Remington resisted alloy, and was the last major brand to succumb to screw chokes: the RemChoke became standard late in the game, in 1987. 1985 was a very big year for the comparatively little known (compared to 2014) Beretta brand, for 1985 was also the year the M9 pistol contract was adopted by the U.S. Military. The spaghetti gun suddenly became patriotically cool. In 1999, ARDEC awarded the contract for the M1014 shotgun, Benelli's first gas gun, to H & K. One year later, Beretta acquired Benelli. The story of the M4 (A.R.G.O.) gas action doesn't stop there, for the core design of the Remington Versa Max is a riff on the A.R.G.O. action. Though the Browning B-80 gas gun was made by Beretta when Browning had an interest in Beretta, that relationship dissolved and the Browning Gold / Silver / Maxus line has become the most successful autoloader line for Browning since the original Automatic-Five. WHAT IS THE BEST AUTOLOADER ACTION? That is a question you've probably heard more than forty-seven times. Action alone does not define a shotgun, for a lot depends on how well it is done and what it is used for. The least successful action, in autoloading shotguns, is the short recoil action. It was done very well by Browning in Val Browning's Double Auto and very poorly in the total recall Browning A500. 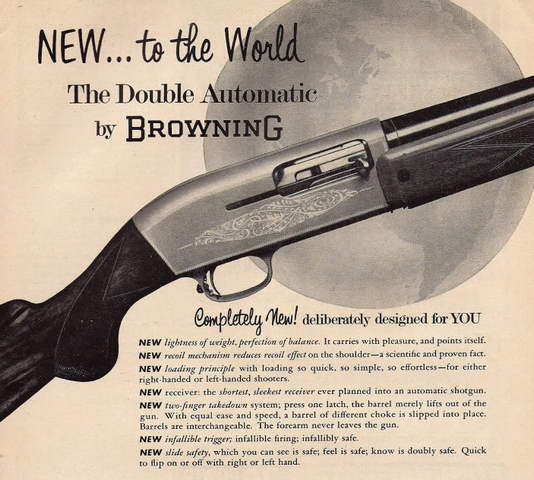 The Val Browning Double Auto was expensive, more expensive than the Automatic-Five in most models, with hand-checkered stocks and hand-engraved receivers. The action was essentially lubed for life. While it had both speed loading and speed unloading, an ambidextrous safety, and excellent triggers, it was 2-3/4 inch only and Americans weren't willing to settle for two shots when they always had five in their autoloaders. In many ways, the case can be made for the original Automatic-Five as being the best. No gas fouling, normal maintenance is low, and the reliability of the mechanism was proven through two world wars all the way to the jungles of Vietnam. Properly set-up, the massive forearm spring combined with the friction break makes it extremely soft shooting. In my own testing with the heaviest 20 gauge load on the market, the 1-1/2 oz. Federal Heavyweight turkey loads, through over one dozen 20 gauge autoloaders, the A-5 Magnum 20 was far and away the softest shooting shotgun: nothing else was remotely close. This, despite that none of my A-5's have recoil pads of any type. Decisionally challenged Americans didn't like setting the friction array properly, though, some never could figure it out, some didn't bother for to float the forearm or tighten the forearm nut properly. Ignore the friction array, you might have a brutal kicker and ignore proper forearm set-up, a cracked forearm may be the result. Strength of the receiver is important in an A-5, as the barrel is precisely machined to run in a precisely machined channel. Getting the cost out of the A-5 wasn't easy, though production at Miroku began in 1975 to do just that. In 1988, the writing was on the wall for the A-5 with the introduction of the Mossberg 3-1/2 inch chambered Ulti-Mag. What was considered by many to be the greatest waterfowl gun ever made had an insurmountable problem: there was no easy way to make a long-action 3-1/2 inch gun, requiring barrel movement of 3-1/2 inches, a new receiver with longer channels, a bigger ejection port, a new shell elevator system, a new friction array, and so forth. The already costly to produce A-5 could not easily be made from fantastic plastic, either. The steel trigger plate assembly was strong, so strong that it was the trigger plate and the upper tang that attached the receiver to the buttstock with a single bolt. John Browning's greatest achievement was ill-suited to the use of technopolymer, user stock adjustments, and needed user friction brake adjustments as well to accommodate the spectrum of loads. Through production of the A-5 continued for a decade after the introduction of the 3-1/2 inch shell, 20/20 hindsight shows that in 1988, the writing was on the wall. By then, it became clear that consumers did not want to adjust their guns for the loads they were using at all: perhaps they never did. The Bruno Civolani action was slow to catch on, in part because of the H & K distribution in the United States. As the story goes, it was a cheap to make and very profitable product for the Benelli Brothers. But, the Benelli motorcycle business was floundering, and Benelli Armi began selling off to Beretta. Don Zutz among others sung its praises, but Benelli wasn't widely seen or used until Beretta bought the remaining shares of Benelli stock in 2000, and melded it into the Beretta USA system, Beretta USA also being purchased by Beretta Group. The year 2000 was the end of Benelli as a firearms company, for Beretta insisted that they supply all the barrels to their new Benelli division when they finally took control. The action itself fires like a fixed breech gun, and needs rearward movement of the gun to work. A harsh recoiling action, compared to the A-5 and the 1100, the recoil was exaggerated by the comparative light weight of the Civolani action. A very long receiver compared to many autoloaders due to the split bolt, it was comparatively cheap to make, having very few parts, needed no strong receiver as did the A-5, and was easily punched out to accommodate 3-1/2 inch shells. It wasn't good at shooting light target loads, it kicked, but it needed no user adjustments and while it won't shoot dry, it shoots dirty supremely well. With no gas system to clean, no friction brake adjustments, no barrel changes or gas piston changes required, it was finally a hit, particularly in Super Black Eagle configuration, and user adjustments for drop and cast were easy to employ. The Civolani action has its quirks, the Benelli Click and the Benelli Thumb being two of the most common gripes, though the Benelli thumb is more of an issue with recent 20 gauge models than with the 12s. As a clays gun, it never has gained great traction, for the heavier you make the gun, the less rearward movement, and the less reliable it becomes with lighter loads. Today, one of my favorite pheasant-chasers is an M2 twenty gauge, and my 3 inch Vinci gets regular, robust use as well. Dominating since 1963, the gas autoloader further pulled ahead with the shoots all Beretta 390 of 1994, the equally versatile Browning Activ Valve of 1994, and from an unlikely source (Benelli) in the M4 A.R.G.O. action of 1998. While Benelli ignored hunting applications in the civilian version of the M1014, Remington did not: the core of the 3 inch A.R.G.O. inspired the 3-1/2 inch Remington Versa Max, which quite unlike the "technological" attempts of the 105CTi and 105CTi has become a successful model, an extension of the M4 action with a port system that, while far from doing any compensating for 2-3/4 in loads, does exactly that for 3 and 3-1/2 loads. The Versa Max action was designed by Gian Mario Molinari of Italy, filed for patent on May 24, 2007, claiming priority over the Benelli patent filed a year earlier. On November 29, 2011, it was awarded to Remington. 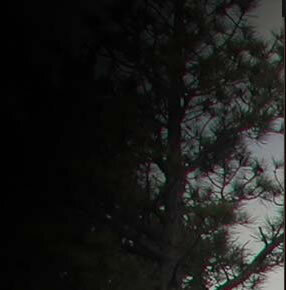 See: http://randywakeman.com/US8065949VersaMaxPatent.pdf . There have been other notable developments as well, such as the Fabarm Pulse Piston in their autoloaders, along with a rework of the Activ Valve system in Peggy, the code name for what is now the Browning Maxus. The Weatherby SA-08 dual piston approach is a very good one. While one piston doesn't do it all, you don't need to buy a new barrel for three inch shells, and you don't do adjustments . . . you just pop in the appropriate, included piston for the loads you want to use. 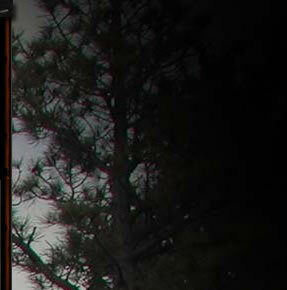 The best autoloading action does not exist. 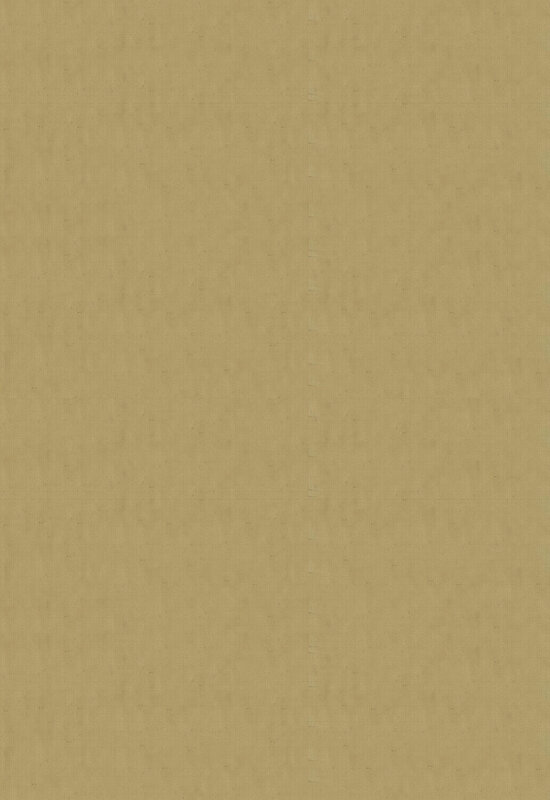 The best action or actions for you and your unique set of requirements does. That's the fun, the challenge, and the journey: not discovering what is right, but rather finding what is right for you.